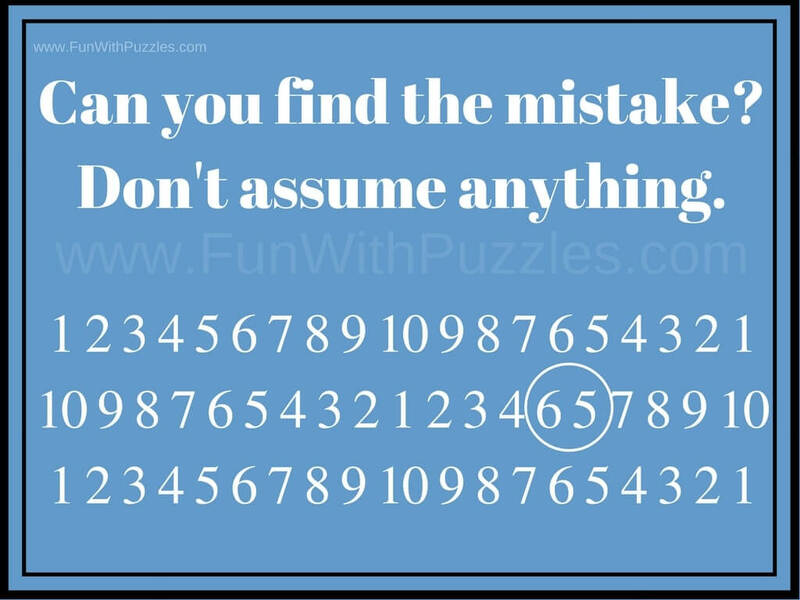 Fun With Puzzles Brain Teasers Find the Mistake Picture Puzzles Puzzles Can you spot the mistake? Picture Puzzles to find the mistakes in the given puzzle images are very cool, interesting and sometimes tricky picture puzzles. 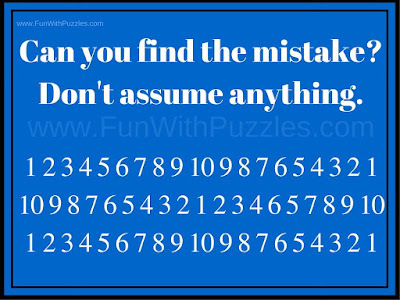 There are many find the mistake picture puzzles on this website which are very much liked by visitors. 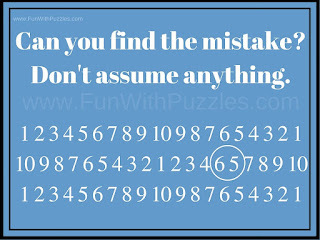 This is the reason we regularly keep on adding new find the mistake picture puzzles. Here is another addition to such picture puzzles in which your challenge is to spot the mistake in the given picture image. In this picture puzzle, there is one error or mistake in the given picture image. 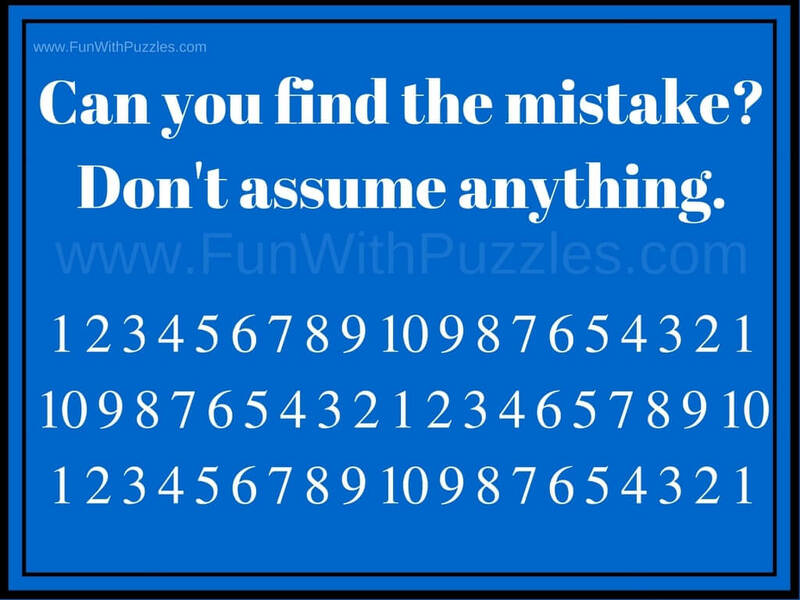 Your challenge is find this mistake in this puzzle. Can you spot this mistake quickly?